Sullivan's the name and scaring is the game. Sully is a master scarer, but that doesn’t mean he’s not lovable. In fact, he may be the most lovable monster of them all with his big, harry hugs and even bigger heart! James P. Sullivan was always a bit of a walking contradiction. Scaring is in his blood and expectations were always high for him. Even though he struggled a bit in college, he still lived up to his scaring potential once he entered the workforce at Monsters, Inc. Even as a top scarer, Sully has a softer side that he often shows through his close friendships and kind heart. What could be better than being terrifying yet lovable? 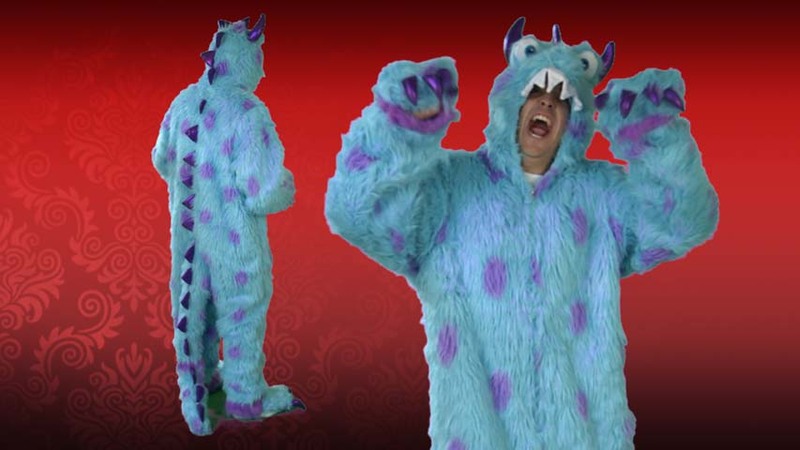 Transform into one of the top scaring monsters with this exclusive Adult Sullivan the Monster Costume. This costume is not only fun and unique – it’s also insanely comfortable! 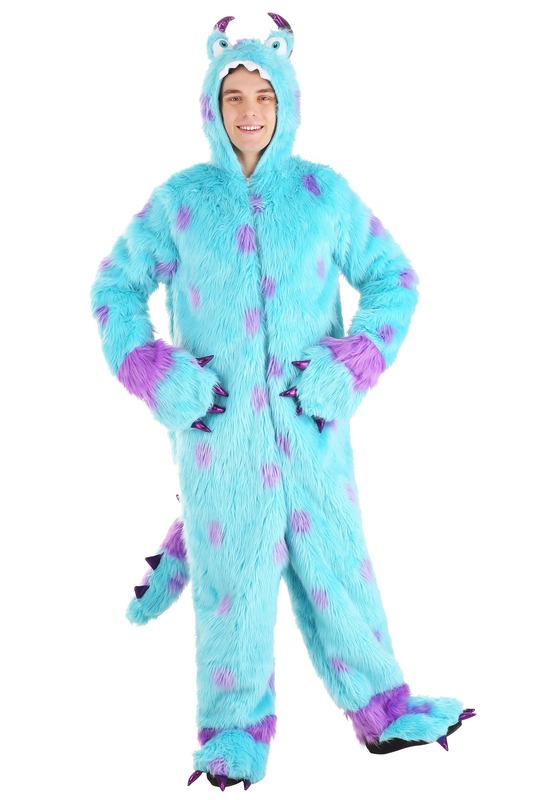 The furry blue jumpsuit has purple polka dots and a long, spotted tail with purple spikes. The jumpsuit zips up the front for easy on and off and the attached paws and feet have glittery claws. The transformation will be complete when you put up the attached hood that features a purple horn, spikes, large blue eyes, and white teeth. When you put on this adult Halloween costume you’ll be ready to go after the scare record, but just watch out for cute little toddlers who are still awake when you arrive ... they are the hardest to scare – you may just end up making them laugh instead!